On one hand, where governments encourages entrepreneurs, decisions such as the implementation of Value-Added Tax (VAT), on the other hand, put many businesses in the doldrums. The world market, which is full of opportunities, it is quite obvious that the competition will continue to grow manifold. In such a situation, it matters a lot that — how efficiently companies manage processes and how well they ensure compliance with the changing policies of the government. In the prevailing market condition, where companies are required to become VAT compliant; where entrepreneurs must resort to advanced technologies to start with a bang; and, where businesses must evolve with evolving technologies to gain competitive advantages; it is only an advanced automation software such as Value Creation Automation (VCA) that can support companies in growing holistically. The demand for traditional ERP software, which is locally installed on company’s server, are declining unprecedentedly. 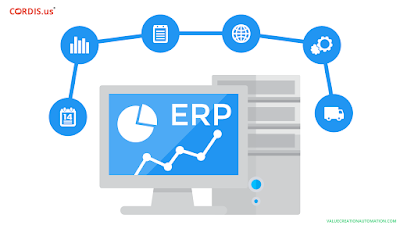 There are many business leaders, who believe traditional ERP software is no more able to meet new process requirements and also leads to increased operational costs. On the contrary, VCA is a cloud-based ERP software, which is designed to reduce capital requirements to a great extent. It is designed incorporating intelligent technologies, which support businesses in driving entire business performance. 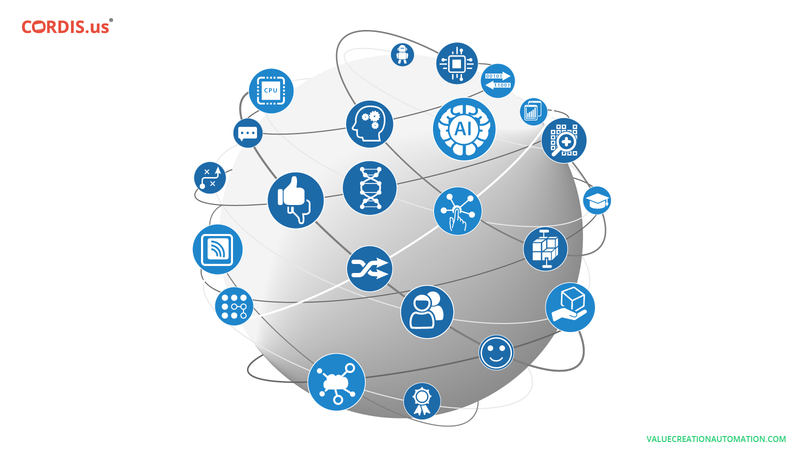 Artificial Intelligence (AI) - Disruptive technologies such as Artificial Intelligence (AI) has turned cognitive abilities to be a reality. According to a report, many business leaders believe, the Artificial Intelligence (AI) helps in gaining competitive advantage and also helps significantly in enhancing the productivity. Incorporating AI, the VCA ERP software programme machines to perform automated functions and respond to a particular situation as a trained employee. Automation Technology - Incorporating the advanced automation technology, VCA reduces the dependency on the human workforce and hence supports in minimizing the error-rate. Having automated day-to-day businesses tasks, VCA help business in making processes efficient and accurate. It further supports in completing tasks within the given time and budget and also leads to efficient resource utilization. Cloud-Based Technology - Offering a cloud-based business solution, VCA makes businesses flexible and adds to the reliability & the agility of performing diverse business operations, even through electronic devices such as mobile phones and tablets. Owners and Directors can have instant access to business data and other related information. On the other hand, the cloud-based VCA ERP software allows employees to perform various functions even when traveling. SaaS Technology - VCA is based on Software-as-a-Service (SaaS) delivery model, which saves companies from investing in the installation of hardware, software, servers and in building IT infrastructure. Enabled by SaaS, VCA allows small businesses in running business operations in almost zero capital. SaaS plays an important role in reducing overall operational costs of companies. How VCA help companies in evolving with evolving technologies? The market situation never remains the same. Things keep on changing and evolving continuously. Sometimes, changing technologies force companies to change the course of action and sometimes, the government throws innumerable challenges by implementing new tax laws and policies for businesses. Whatever, it may be, the truth lies in the fact that a company, which runs business tasks efficiently and also ensures complete compliance is always trusted by customers, suppliers, investors, creditors and other stakeholders at large. VCA, like On-Premises ERP software, does not consist of a rigid structure. Consisting of an inbuilt-development mechanism, VCA is designed with a flexible structure, which supports easy customization and helps in meeting new process requirements. With the inbuilt development mechanism, powered by Software-as-a-Service, VCA allow the system to update the system regularly, with innovating technologies. This enables Directors, Managers, and employees in using latest technologies. Incorporating technologies such as Software-as-a-Service (SaaS) and cloud-computing, VCA makes businesses fit to perform efficiently, even in the long-run. Experts at Cordis Technology, has developed VCA to be an end-to-end business solution. It automates day-to-day business tasks and streamlines diverse processes, resulting in an enhanced efficiency and accuracy. VCA is designed to perform multiple roles. On one hand, where VCA is designed to be an automated SMS & email marketing software and supply chain management software, it also plays a key role in helping manage other diverse aspects of business management such as HR and Finance. VCA is designed to do more than streamlining processes. 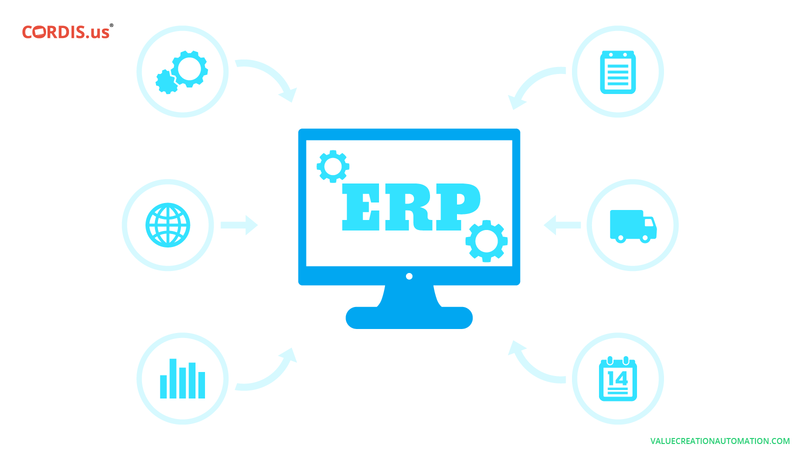 From keeping reports ready, data & information organized to supporting in understanding the continuously changing customer behavior & in developing a healthy relationship with customers - VCA is unique when compared to many other advanced ERP software, as it helps companies in developing holistically. An advanced ERP software such as VCA plays a key role in improving transparency within and outside the business firm. And, most importantly, it helps in making the business-customer relationship more interactive, which builds a credibility and encourage customers to remain loyal for a long-term. Disruptive technologies have changed the customer’s way to approach businesses completely. Powered by smartphones, the Internet, and various social media websites, customers feel tech-savvy and well informed. They remain active round the clock and expect the same from businesses as well. And, ERP software such as Value Creation Automation (VCA) makes companies apt to perform in this technology-driven business world. Having automated the marketing process, VCA helps in sending automated messages and email to inform customers about discounts, sales, campaigns and other various promotional offers. Moreover, businesses can send automated posts on various social media websites, which helps in effective brand positioning and also in developing a healthy relationship with customers. In short, VCA ensures round the clock availability of companies across diverse media platforms. Along with intelligent technologies, VCA empowers businesses with high computing capabilities and enhanced algorithms, which supports the system in reading the data-pattern. It helps in sending an automated response to customer queries and providing an instant solution to various problems. Offering cloud-based solutions, VCA allows both customers and businesses in remaining connected to each other, through advanced media platforms. Customers can put their queries to companies and place an order at any time, from anywhere. On the other hand, an advanced automation software such as VCA allows companies to receive the order, take payments from customers, issue VAT-compliant invoices to suppliers and customers, update ledger books and to perform diverse business functions from anywhere and anytime, even though mobile phones and tablets.